Adirondack Winery - Blog - It's Drink Pink Season at Adirondack Winery! 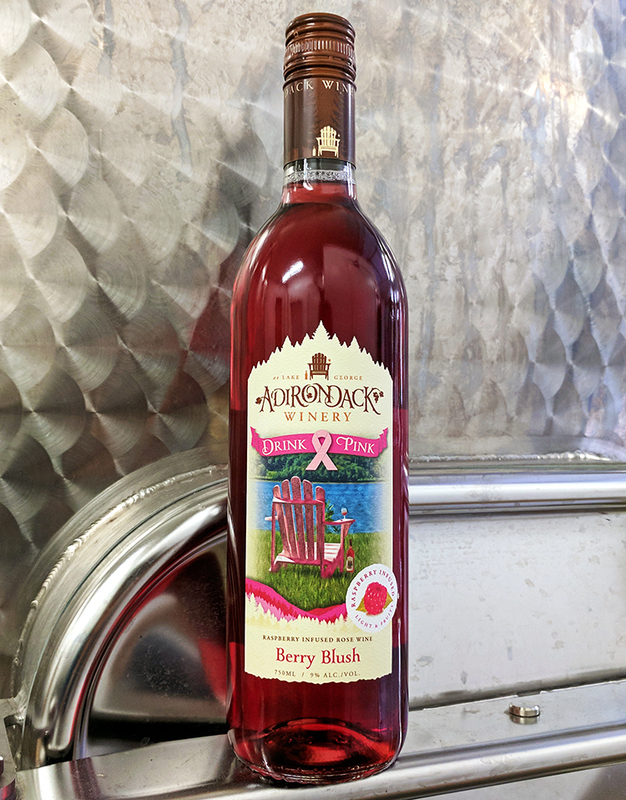 It's Drink Pink Season at Adirondack Winery! In honor of our 5th annual Drink Pink Fundraising Event, we're going bigger than ever, all in support of the Making Strides Against Breast Cancer of the Adirondacks! We’re hosting THREE Wine Glass Painting Parties, we’ve added more pink merchandise – and more pink wine – and this year, we set our fundraising goal at $4,500! AND, thanks to your help we already have an amazing head start with $1,242 in donations already raised! Keep reading for ways you can get in on the fun and fundraising! SAVE THE DATE, October 13th-15th, because you’re invited to Drink Pink Weekend at Adirondack Winery! All weekend long, you can enjoy free samples of pink wine, play games and win prizes, sip on a pink wine cocktail, or just enjoy a wine tasting with your friends … all for a great cause! If you can't make it for the festivities, don’t worry! We're donating $2 from every bottle of pink wine sold at our Lake George & Bolton Landing tasting rooms, as well as a portion of select pink merchandise, through the end of October. That’s every bottle of Berry Breeze, Cabernet Franc Rosé or Iced Cabernet Franc that goes home with you from our tasting rooms all month long! Come for the wine, stay for a Wine Glass Painting Party! Our Drink Pink Wine Glass Painting Parties have gotten so popular, we added a third! Bring your friends for a fun and crafty night out with wine, chocolate and painting Friday nights (October 13th, 20th & 27th) from 7pm to 9pm. Best of all, $5 from every ticket sold will be donated to Making Strides of the Adirondacks! Seats are LIMITED and tickets are selling fast, so pick the date that works best for you, but don't delay! Click here for tickets and info. Back again is our ever-popular, limited edition, Drink Pink Berry Blush, and this gold medal winner isn't just sweet, it's charitable too! We're proud to donate $4 from every bottle sold through the end of October to Making Strides Against Breast Cancer of the Adirondacks! This label sells out every year, so help us reach our goal, and buy some wine … before it’s too late! *Please note, this wine is ONLY available online, for next-day pick-up at our Tasting Rooms, or for walk-in sales at our Queensbury Headquarters! Visit our SHOP page or give us a call for more details. Last, but not least, we want YOU to join our team! 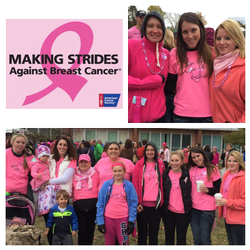 Each year, Adirondack Winery employees are joined by customers, family and friends, as a team in the Adirondacks Making Strides Against Breast Cancer Walk (Sunday, October 29th), and we'd love to have you too! Each team member is encouraged to raise funds individually in addition to the money raised through Adirondack Winery's Drink Pink Fundraising Weekend, so even if you can’t make it to the walk, you can still help! Check out our team page to join, donate or learn more. We hope you can take part in our fundraising festivities, and thank you for helping us reach our goal! Cheers!